Required concrete is in general calculated in cubic yards (cy). The table below shows the area (sq.ft.) that 1 cu. yard of concrete will cover for various depths. Engineering ToolBox, (2010). Concrete - Volume Estimate. 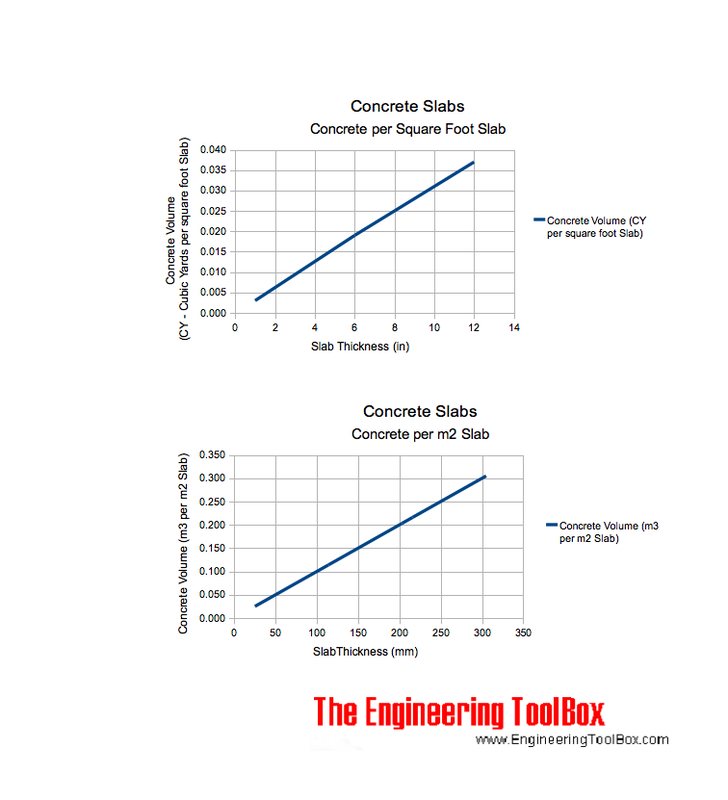 [online] Available at: https://www.engineeringtoolbox.com/concrete-volume-slab-d_1702.html [Accessed Day Mo. Year].